Stephen King’s vast archive of fiction continues to be a rich resource for Hollywood studios to mine. Cast one eye over the movie landscape and you’ll find that both The Dark Tower and It – arguably some of King’s finest work – are simmering in the works, not to mention Tod Williams’ rendition of lesser-known thriller Cell. From one medium to another, Spike’s serialized take on The Mist – a gripping Stephen King novella – stands as one of the most intriguing properities on the network’s slate, and The Hollywood Reporter brings word of a final casting spree before production officially gets underway over the summer. Among those that have been enlisted is Vikings actress Alyssa Sutherland, who has been set as Eve Cunningham, a “wife and mother who fights to protect her teenage daughter from unknown dangers lurking both inside and outside the mist while facing down her past.” Okezie Morro, Darren Pettie, Russell Posner, Isiah Whitlock Jr., Gus Birney, Dan Butler, Luke Cosgrove, and Danica Curcic round out the casting docket. 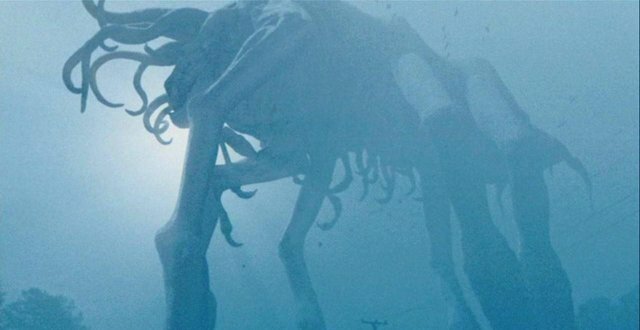 Spanning ten episodes in total, The Mist centers on a small town blanketed by a strange and seemingly supernatural fog. Chatter of government experiments gone awry and the rapture begin to spread like wildlife across the community, though it’s really the unspeakable critters crawling around in the darkness that are cause for concern. Christian Torpe is attached as writer and executive producer. Spike is aligning The Mist for a premiere in 2017.